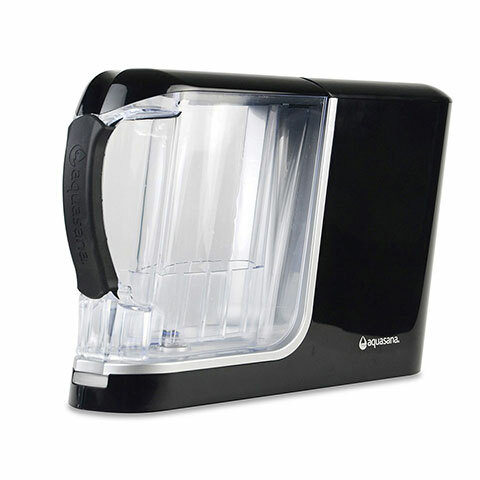 Long-lasting, high-performance water filtration for great-tasting, healthy water throughout your entire home. Rhino Whole House Water Filter with UV is rated 4.6 out of 5 by 110. Only the best whole house systems on the market can boast full system NSF Certification. The EQ-600 Rhino is NSF tested and certified to remove 97% of chlorine for 600,000 gallons or 6 years. 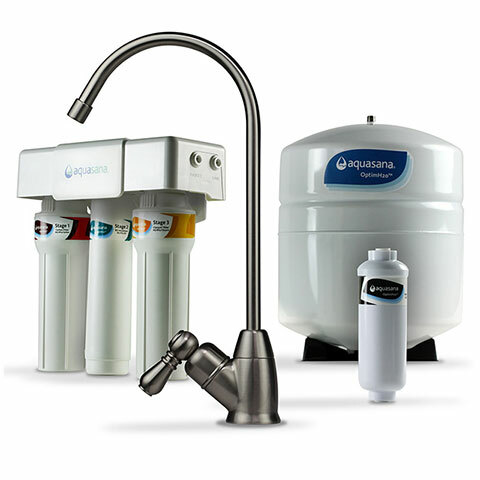 System is independently tested by NSF International to the gold standard of water filtration, validating testing claims made by Aquasana (Please see our Performance Data Sheet for complete test results). 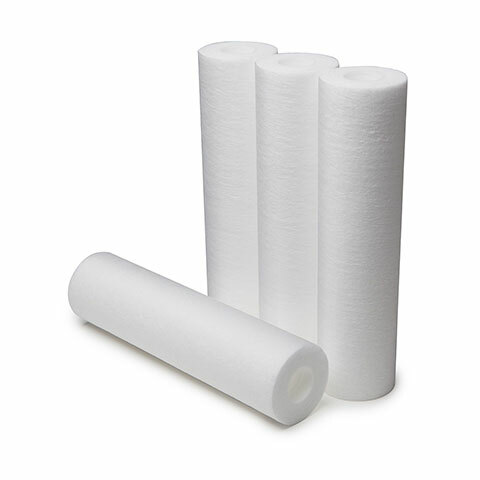 Engineered to maximize potent filtration media for ultimate performance. 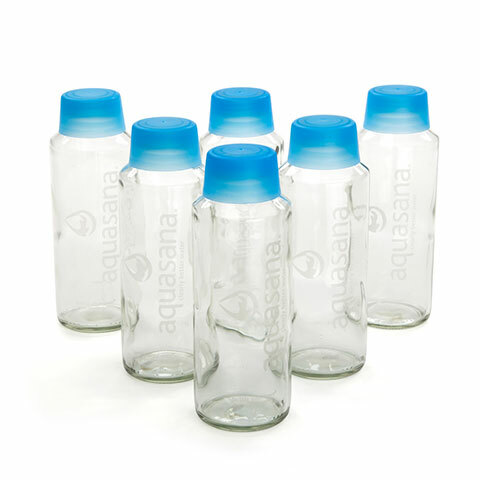 Unlike other whole house filters that require messy, complicated media replacements, Aquasana Rhinos are designed for quick, easy tank replacements. 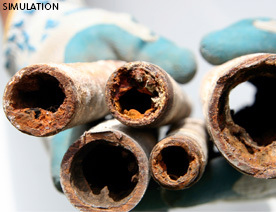 Long-lasting systems last 6 years or 600,000 gallons before needing to be replaced. 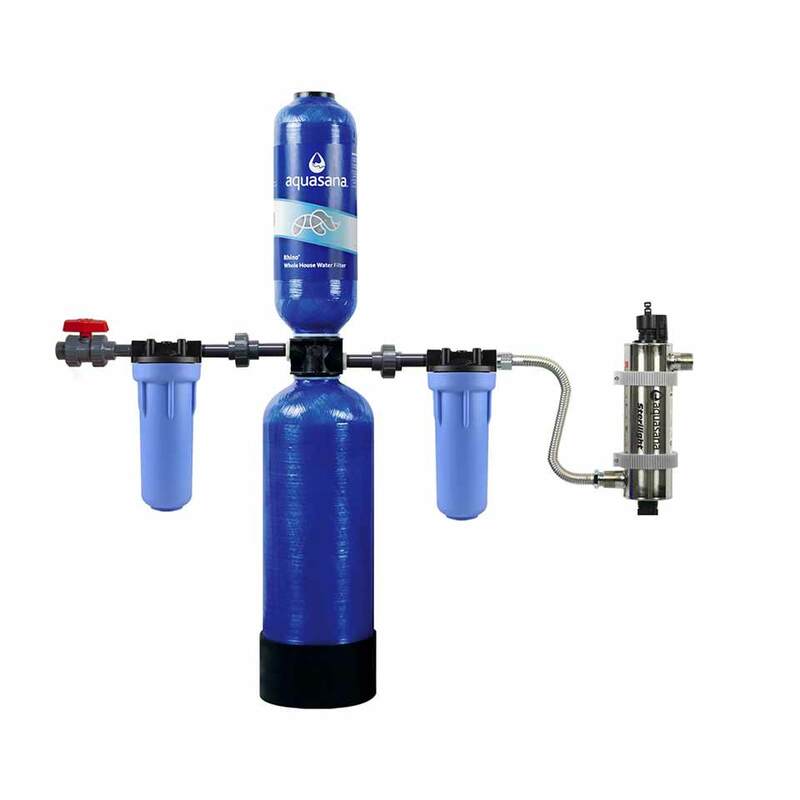 Base install kit for EQ-600 includes: plastic fittings and a 10” pre-filter. Does not include brass fittings, sub-micron post-filter or bend supports and shut-off valves for by-pass loop. Our NSF Certified whole house water filter system is comprised of carefully sequenced stages, each with its own unique formula of high-potency, contaminant-grabbing media and filtration. Rated 5 out of 5 by Tim's Home Repair LLC from Extremely Satisfied So far so good! Have installed the Pro Rhino in a new house & existing 25yr old house. The owners at the new house love it due to the fact ALL of their water is filtered & no softener is needed. At the existing house which is mine, we did not have a working softener for the last ten yrs. So after 1 week the water quality is improved immensely and loving it. Water itch after bathing has decreased significantly. I'm using my home as a test with this product as to water clarity before/after also to see if the lime/scale build up in the toilets, faucets, shower heads, etc. goes away with use. Not to mention "NO 50lb BAGS OF SALT" anymore! No more water regeneration, water being wasted down the drain! All of this and at a very reasonable price! Will be adding more in the future at the time of filter replacements. Rated 5 out of 5 by jadiaz from Love our new whole house water filter and softener Really makes an enormous difference on our water quality that we can feel, see and taste. Installation took some time primarily to route into specific area in garage and had it installed with PVC instead of Pex tubing. Really happy with our purchase of this product while pre-filters the water, softens the water and removes contaminants. Our dishwasher no longer shows any calcium or residue deposits after washing dishes. Rated 5 out of 5 by New Plumber from Homeowner Installed My wife loves the softer water. Her hair does better??? Rated 5 out of 5 by Mr. D from well built. 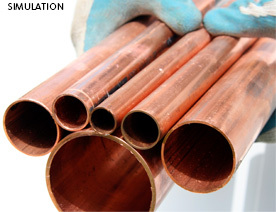 water is amazine I had a plumber install it professionally. very little was required extra to buy to install it as we received the professional install kit for free during the holiday sale. it's turned out Florida pool smelling, hard water into non smelling, drinkable water that makes good coffee. Rated 5 out of 5 by RDub from Even better than expected I was pleasantly surprised. The installation was easy as can be, except for the tight space. The water quality is excellent. There is no smell and it tastes great right out of the faucet. Coffee tastes better too. Rated 5 out of 5 by Chuck Gran from Smell is gone Taste is great. I recently installed our new whole house filtration system. We bought the 600,000 gallon Rhino unit with pre-filter. I was able to install it easily as I was a plumber. The reason we purchased the filter is because our water authority changed the way they treated our water and the new treatment smelled awful. The smell is almost gone and I say almost because I still have not flushed the system completely and some residual odor lingers. The water passes thru another filter in the refrigerator and the taste and smell is awesome. No odor and it tastes like drinking ice cold spring water. We are so happy we purchased the unit. The only question I have is why it was shipped to a residential location with schedule 80 pipe? I purchased all new schedule 40 cpvc fittings at my local home store and installed the unit as shown Very easy very fast, and we are very happy. Rated 5 out of 5 by Christena from Best whole house filter!! I love having clean pure water in every faucet, especially in the shower!! I can feel the difference in my health and no more plastic water bottles!!! Rated 5 out of 5 by Dr Bob from Great Product I chose to have a licensed plumber install, I also purchased the in instillation kit. Everything went smoothly. The key for me was the plumber and the instillation kit. Very important was to follow instructions to flush filters completely, results were well worth the time. I did build a water shed for the unit, living in Arizona. The garage or basement is also desirable. After building and insulating the shed and fully wrapping the pipes I am very pleased with the quality of the filtration unit. The change in the quality of the water was instant. I came from the mid west and always had a salt water softner. I understand the difference today that slipperly isn't clean it is salt. The softner means as much as the descaler to the softner aspect. I don't have to have a separate filter for my drinking water to remove the salt that I used to put into my water to soften it. How often do the filters need to be replaced and how much do replacement filters cost? Does this remove fluoride ? Is there any companies in Sacramento,Ca that install this system? who would do installation? Plumber? Definitely hire a painter or handyman.. Which whole house filter is best to filter arsenic? I have a tankless water heater already installed. Can the whole house system be used with that?